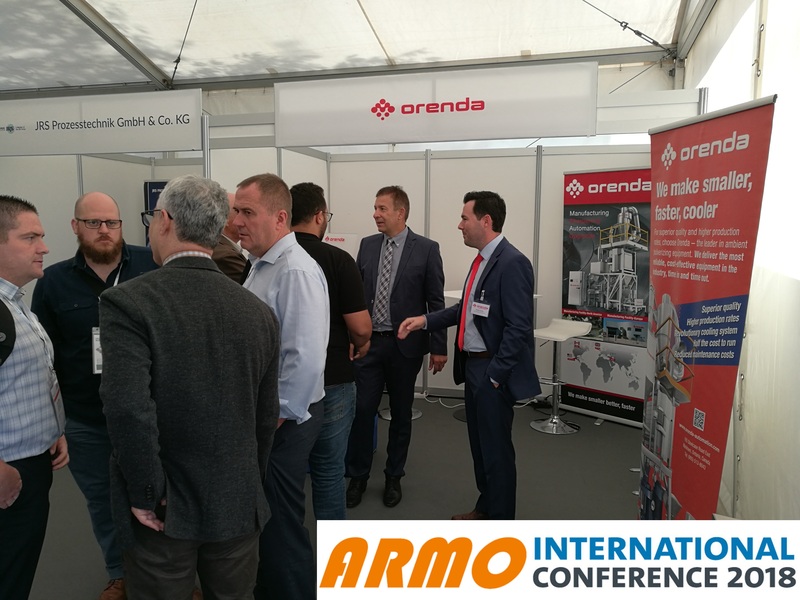 2018 ARMO International Conference - Orenda Pulverizers Inc.
On September 16th – 18th, Orenda had the pleasure of attending the 2018 ARMO International Conference at the University of Hamburg in beautiful Hamburg, Germany. The ARMO International Conference is considered to be the most important meeting in the global sector of Rotational Molding. It was a great opportunity to take part in the many international and technical presentations, as well as to be apart of the large exhibition of industrial suppliers. We were delighted to have been among the many exhibitors and would like to thank everyone who stopped by our booth. It was a great opportunity to connect, and discuss about our AirForce technology, with many new and existing customers.